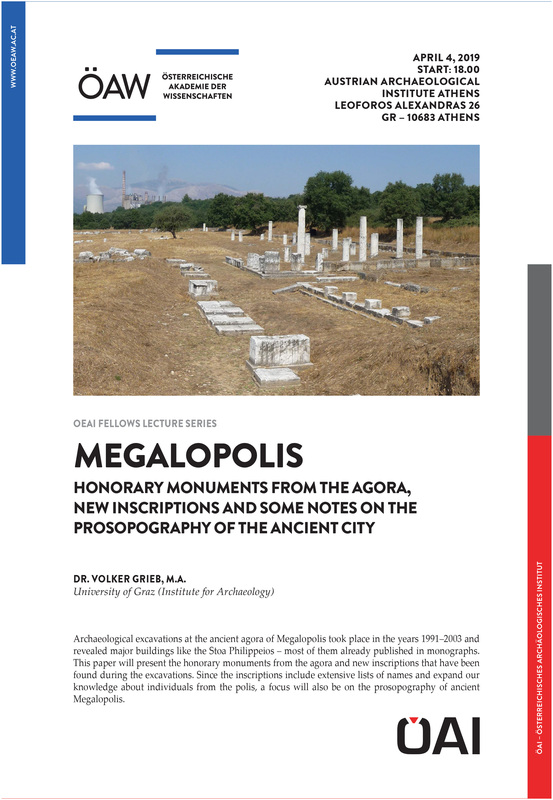 Dr. Volker Grieb (University of Graz, Institute for Archaeology) will give a lecture on the topic “Megalopolis – Honorary monuments from the agora, new inscriptions and some notes on the prosopography of the ancient city”. Archaeological excavations at the ancient agora of Megalopolis took place in the years 1991–2003 and revealed major buildings like the Stoa Philippeios – most of them already published in monographs. This paper will present the honorary monuments from the agora and new inscriptions that have been found during the excavations. Since the inscriptions include extensive lists of names and expand our knowledge about individuals from the polis, a focus will also be on the prosopography of ancient Megalopolis. The event is part of the OEAI Fellows Lecture Series, organized by OeAW-OeAI.